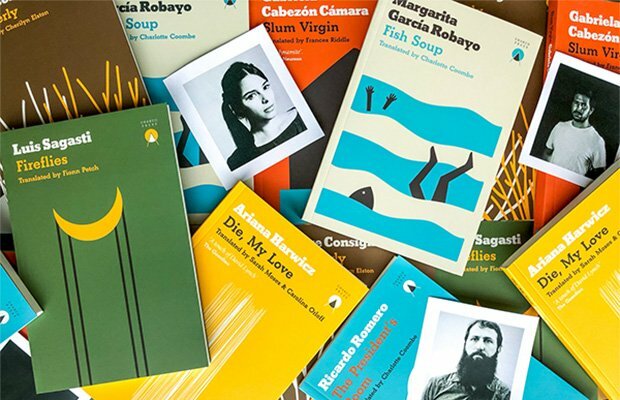 In a reading culture that still has some trepidation around translated works, (only accounting for six percent of our adult fiction reading in 2016 according to Bookmachine) it's encouraging to see a young publisher with a focus on brining contemporary Latin American authors to UK readers thriving in Scotland's capital. In fact, Carolina Orloff says that Edinburgh has been very supportive of their endeavours. 'Since day one, we have felt very welcomed by the local publishing and bookselling industry as a whole, who have taken a genuine interest in what we are doing. 'Scotland's publishing industry has a real feeling of community, and it is wonderful that it is able to retain this whilst being such a force on the UK and international scene.' There are also several local organisations that made their encouragement clear – from The Edinburgh International Book Festival and Creative Scotland to independent bookshops like The Golden Hare and Lighthouse Books. For Carolina and co-founder Samuel McDowell, the company's first years were thrilling and rewarding ones. Their efforts to bring excellent and established writers to the attention of the UK's readers have been commended with several notable awards, all of which help to raise their profile and bring attention to the authors they publish, including the Start Up Award from Creative Edinburgh and a Saltire Emerging Publisher of the Year Award for Carolina in 2018. Working from Edinburgh has its challenges as well as its upsides. For example, much author communication has to be done over the phone or via email rather than face-to-face; a small barrier, and one dealt with admirably. 'In 2018, the EIBF brought Daniel Mella (Older Brother) from Uruguay, and Julián Fuks (Resistance) from Brazil. It is rather bizarre but, apart from Gabriela Cabezón Cámara (Slum Virgin), whom we had met in Argentina, this was the first time we met with our own authors! She then opens up communication between the two and remains as a kind of bridge that adds to the conversation and contributes to the solution of problems or questions. And readers will have a fresh crop of Charco titles to look forward to in 2019. 'We have our first author from Guatemala, Rodrigo Fuentes, and his wonderfully intense stories in Trout, Belly Up, set in the rural mountainous region of his country. The widely celebrated An Orphan World by Colombian author Giuseppe Caputo, who's part of Hay's Bogotá39 list and was recently invited to take part in the London Literature Festival at the Southbank Centre, will finally be available to readers here. There will also be new books from Brenda Lozano, Selva Almada and Gabriela Cabezón Cámara, resulting in what looks to be another muscular year from Charco. Dip into their catalogue now or head to their website and let them guide you to one of those writers you wish you'd heard about even sooner. New crime author takes us to Victorian Edinburgh for an exploration of class and gender divisions all sewn up in a satisfying murder mystery with a medical edge. The novelist revisits one of his most iconic characters in Kill 'Em All, a sequel to 2008's rollicking and deliciously dark Kill Your Friends.